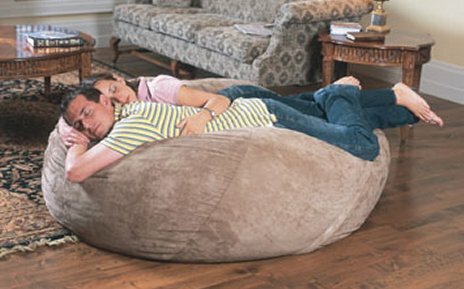 The Big Daddy is the perfect giant bean bag for your living room, or for dorm room seating, home theater seating, home theater seats, love chairs, college seats, or any room that has a TV or a need for relaxation. 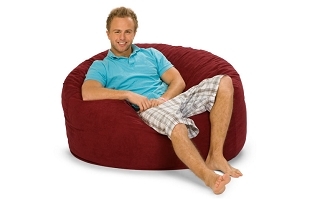 The huge bean bag is great for playing the Wii, Playstation, or xBox or just listening to your iPod. All ShaggyBags include an inner liner to hold the foam, and the outer cover is removable. While the 5 foot Big Daddy is big enough to seat 2 adults comfortably or a slew of little kids, it is still small and compact enough to fit nicely within any room. The super-smooth microsuede covers are nothing short of amazing and beautiful. 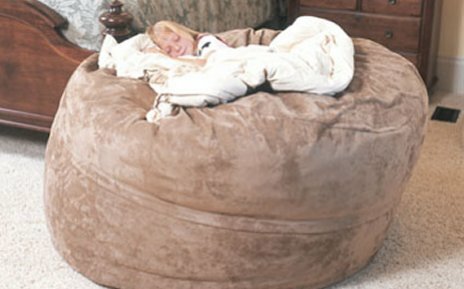 For over-sized foam beanbags the the Big Daddy more closely resembles piece of high-end furniture than the old-school pellet bean bags of the past or chair in a bag. 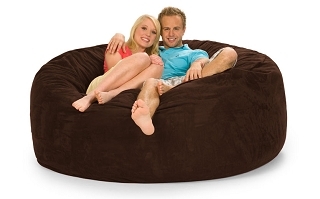 ShaggyBags are the top-of-the-line foam bean bag chairs on the market. No other love chairs, foam chairs, foof bags, bean bags, pillow sacs, love sacks, foam sacks, love beans, or foambags compare. ShaggyBags are made of the highest quality materials, only the best microsuede and EcoFoam available to man. ShaggyBags are made with long-term duration in mind. The ever-so-sleek microsuede covers are soft and plush to the touch, they are strong and durable to prevent ripping and tearing from rigourous use, and the fabruc tends to be naturally stain-resistant. I love the way the bag contours to my body shape. It is so so comfortable. Purchased a Big Daddy ShaggyBag 2 years ago and I still love it. ShaggyBags just treat you right can''t go wrong. Purchase one and see for yourself. Thank you guys so much. I love my Big Daddy ShaggyBag. Never thought I would spend so much time in front of the TV gaming...oh wait yes I did, I just never thought I could spend hours on end in such comfort. Seriously, such a comfy foam bag. I was skeptical at first, but my kids pushed me over the top and we purchased two Big Daddy ShaggyBags for the theatre room. I have to admit they are more comfy than my $4000.00 theatre seat. Glad my kids kept pushing... Great Bags. Microsuede is the most popular fabric in furniture today. Our Microsuede is extremely soft and durable and also machine washable. Choose from 15 different colors. Our wide band corduroy is very plush and soft to the touch. Each cord is about 1/2 " wide. Choose from three colors.